A tricopter is similar to a helicopter except that it has three vertical rotors as opposed to a helicopter one. 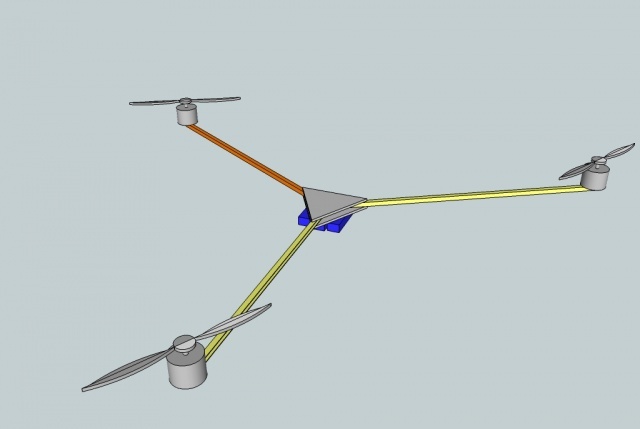 The basic design of a tricopter includes three motors, one of which is vectored. The drive system should be configured to provide the highest amount of “thrust resolution” possible. In this context, thrust resolution means the amount of increase or decrease in thrust produced as as the transmitter or gyro instructs the ESC to change power to the motor. A higher resolution (smaller changes) allows the tricopter to make minor adjustments and fly smoother. The lower the kv rating, the higher the thrust resolution. Motors under 1000kv are ideal for tricopters. Three ESCs are required, one for each motor. The throttle of each ESC is controlled by a separate channel and has a gyro between the receiver and the ESC. 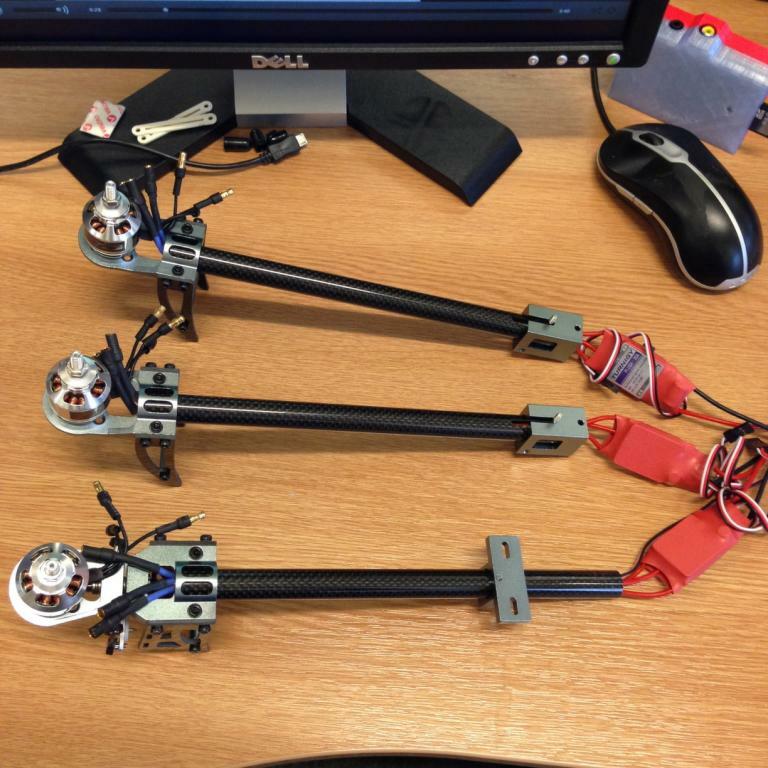 This allows the tricopter to become stabilised by varying the speed of each motor individually. Some ESCs have finer resolution when instructing the motor to change speeds. There is no documentation for this and has been found through trial and error. Please see the Successful Combos section when selecting ESCs. The effect propellers have on thrust resolution comes by virtue of their pitch and weight. Low pitch and low weight propellors provide the highest thrust resolution.